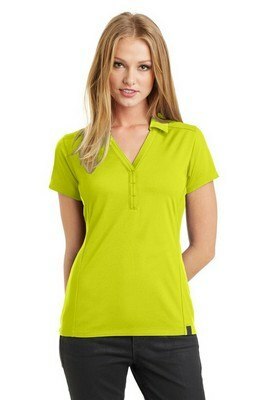 Our ladies OGIO Framework Polo is odor resistant and features your branded logo. OGIO ® Ladies Framework Polo raises the performance bar several notches higher with sophistication and feminine elegance. The Princess seams on the front and back along with the open Y-neck placket enhances the beauty and charm of the wearer. The moisture and odor control ensures breathable comfort and freshness throughout the day. 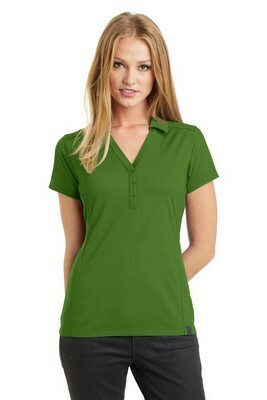 This performance Polo comes with tonal bartacks, a set in open hem sleeves and self-fabric collar for sporty comfort. Emboss your company logo neatly on this shirt at no extra cost for all your promotional needs and start branding your company..